For a long time I have wanted to put crocheted borders on something. 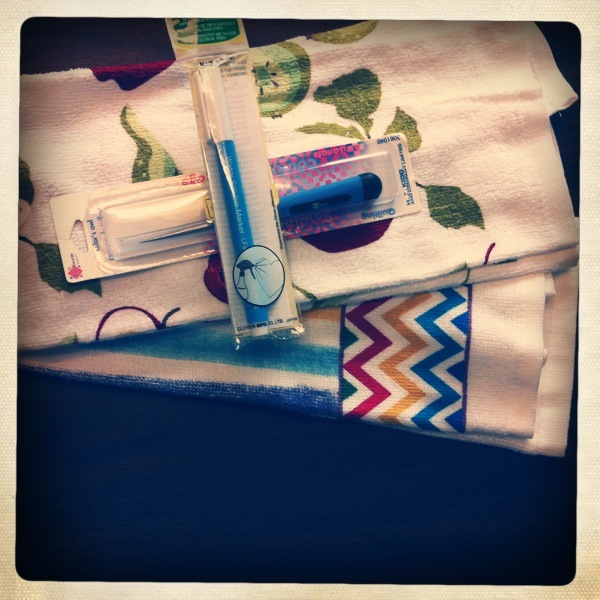 I have looked at doing pillowcases, tablecloths, and kitchen towels. I got the towels from Walmart for $1.00, wanted inexpensive ones to practice on. I have to Crochet Thread from Michael’s to put the border on, I think I will get red as there is red in both towels. I thought this would be an easy way to ease into doing crochet borders, if it messes up the towels, I haven’t put too much into it. 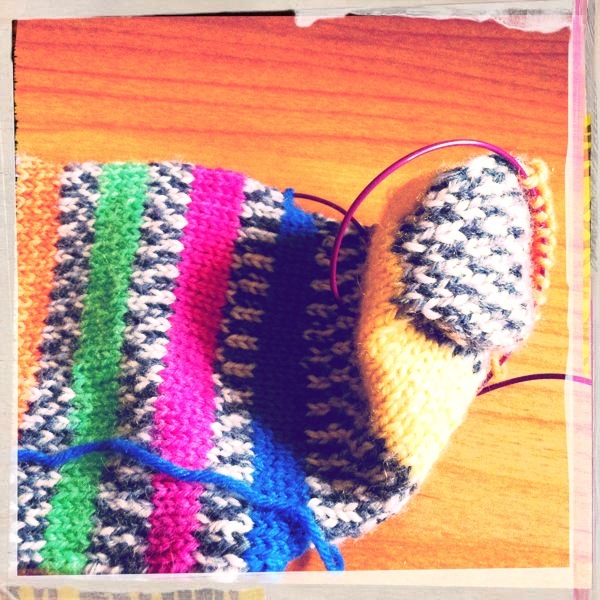 I am still working on Isak’s socks, ready to pick up the heel stitches on the first sock. I am liking how colorful they are, I think he likes them as well. I am waiting on a second 2.75 Knit Picks circular needle so I can work two socks at the same time. This entry was posted on Saturday, March 10th, 2012 at 12:32 pm	and posted in Crochet, Knitting, Photography. You can follow any responses to this entry through the RSS 2.0 feed. Looking forward to your edging projects, must be nice to do! And the socks are looking quite cheerful, good choice of colors to my opinion. Thanks for stopping by my blog and your kind words:) Hope you will have a nice weekend! Thank you Elizabeth, have a few things to do before I can start! I thought I was all caught up, apparently not. I hope you also have a great weekend.